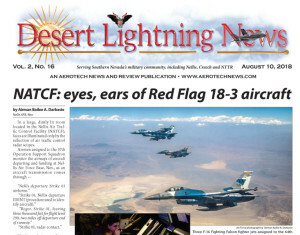 Welcome to the Nellis-Creech AFB Desert Lightning News Digital Edition! 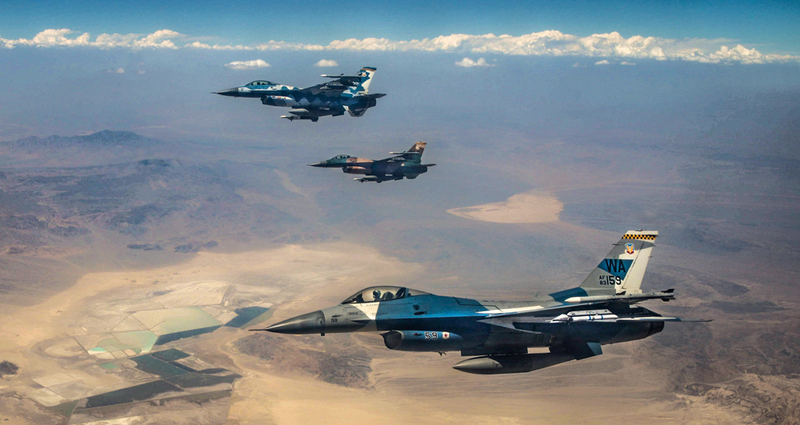 Our coverage of Red Flag 18-3 continues – very heavy on the eye candy, lots of nice photos in this week’s issue! Airmen and aircraft from squadrons throughout the U.S. converged on Nellis for two weeks in July and early August, joined by personnel from the Colombian air force. 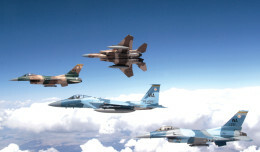 Together, the troops participated in exercises designed to prepare combat air forces, joint and allied aircrews for tomorrow’s victories, with challenging and realistic scenarios. Our photo feature on pages 10 and 11 highlights the Israeli-built F-21 Kfir jets of the Colombian air force, which joined in the Red Flag exercises. Also, make sure to click through and check out Living…Happenings…Things to Do on page 13, for activities available as we move into final weeks of summer (anyone else looking forward to the cooler days of fall??) 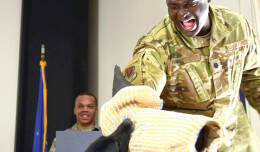 All this and much more, in this week’s edition of Desert Lightning News! Hard copies of the paper will be available on Nellis, Creech and throughout Las Vegas Friday morning. Pick one up when you’re out and about this weekend, or click on the link below for a digital edition, viewable on your computer or mobile device. It’s our privilege to serve you – have a great week!